Sitting in the car park of a closed museum*, we pondered our next move. I remembered there was a sign for ‘Castle Ring’ a little way down the road, an Iron Age Hill Fort I’d always meant to visit, but hadn’t. Perfect. A short while later we pulled up in a much fuller car park that the one we had left. Ridge & Furrow I think. See edit below. As Castle Ring is only about 6 miles away from Lichfield, this post is a nudge to get you to go and have a look for yourself if you possibly can, as descriptions and photos (especially the kind I take!) are no substitute for visiting the highest point of Cannock Chase (235m in fact), which also happens to be a site thought to have been occupied 2,500 years ago. For more information & directions, you can download the leaflet from here and read a much more detailed description on the Pastscape record. On the subject of photos though, it is worth having a look at a photo of the site from above. Now that I’ve been once, I shall definitely have to go back. There are the remains of a 12th century medieval hunting lodge I missed and as well as being a Scheduled Ancient Monument, it’s also been classified as a Site of Biological Importance. 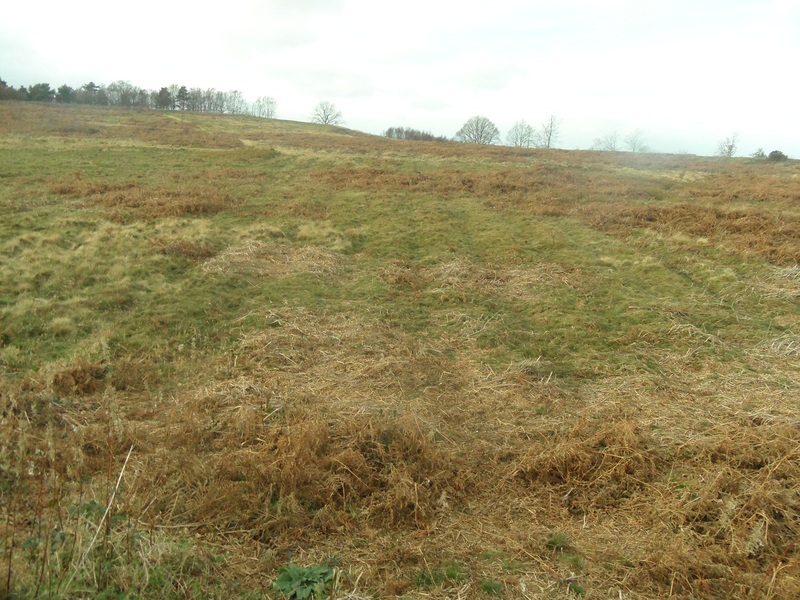 Adders and common lizards, damselflies and dragonflies are found in the grass and bogland habitats there. Obviously, I am no expert, but it’s interesting to read the Management Plan produced by Cannock Chase District Council (according to the plan, they purchased the site for £200 in 1933 at a sale at the Swan Hotel in Lichfield. It had previously belonged to the 6th Marquis of Anglesey). It must be a hard task to maintain a balance between public access to somewhere like this and protecting the site’s ecology and archaeology. I’ve mentioned the Scheduled Ancient Monument we have here in Lichfield before. 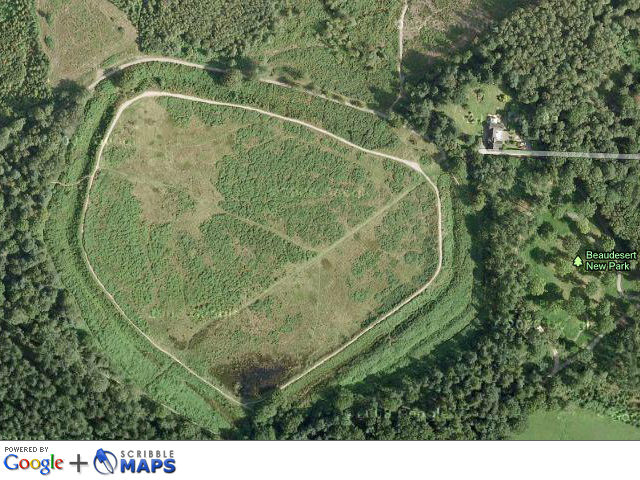 Other than this listing, is there anything in place to protect, manage or inform about this site, as there is at Castle Ring? Should there be? *My fault entirely. Considering I spend so much time on the internet, you’d think I’d use it for useful things like checking opening times! Edit 25/1/2012. Doubt has crept in about when that ridge & furrow dates to. I originally said it dated back to early 20th century, based on something I’d read but ‘Born a Lichfeldian’s’ comment has made me rethink this. So if any knows any better (and I’m sure there are plenty that do!) please don’t hesitate to put me straight! 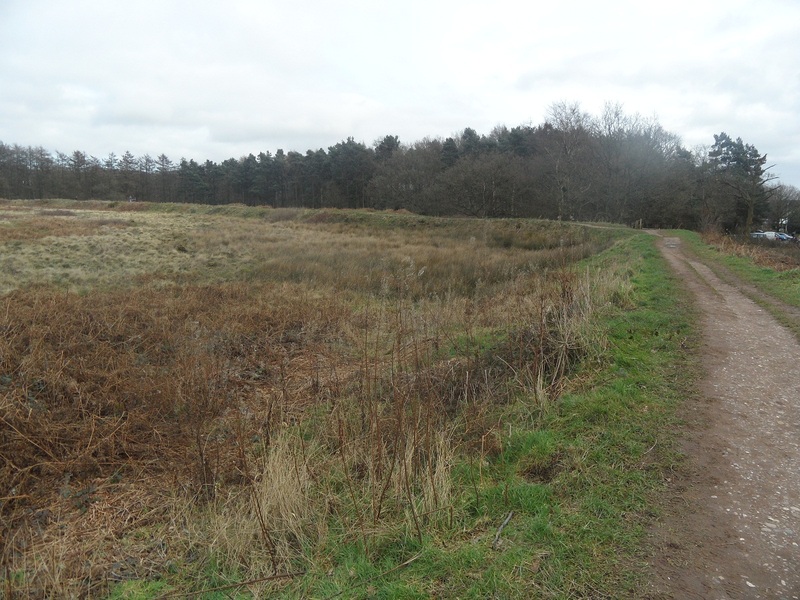 This entry was posted in archaeology, cannock, Cannock Chase, hillfort, Iron Age, Lichfield, Schedule Ancient Monuments, staffordshire, Wildlife and tagged archaeology, Cannco, Cannock Chase, ecology, Hillffort, nature, Scheduled Ancient Monument by Kate. Bookmark the permalink. One of the images above is a good example of the ridge and furrow. According to wikipedia ridge and furrow ploughing has been in existence for quite a while. I think this is yet another example of your excellent work to promote some parts of Staffordshire as a beautiful and historic place to live and visit, well done. Apparently there are lots of examples of Ridge & Furrow around here, but I was really pleased this is the first one I’ve ever been able to identify myself! be great to see part of the defences re-built as it was when in use as a fort . Totally take your point Pat. Should I be encouraging people to go? As I said above the balance between access and protection is such a hard one. I guess that Cannock Chase Council are trying to address that by asking people to stick to the paths, but it must still be an issue. I suppose it raises the issue of what is the priority for sites like this? Also how much on site interpretation do sites like this need? Again, difficult to get a balance between informing people and allowing the atmosphere and environment to speak for itself. Hard questions!!! Of course, stone circles are also scheduled ancient monuments and they are almost always on open-access sites, which allows horrible people to climb on stones with neolithic carvings on them. Personally, I think it would help if we all made a point of publicising the fact that the maximum fine for damaging a site like this is £20,000. Excellent site you have there, though. I’m sure you’re not one of the ones who’d cause damage! I did see a sign saying that sledges weren’t allowed, so if we do get the snow tonight I’ll have to find myself some different slopes. Seriously, I’m all for open access where possible, but as you say people should realise they have to enjoy these places responsibly….or else there will be consequences. There are (or more accurately perhaps were) loads of great sites around here, like Offlow, thought by some to be the burial place of the King of Mercia. People keep sending me fab snippets about parts of history around here that I didn’t know about. Wonder how many others don’t know about these either?